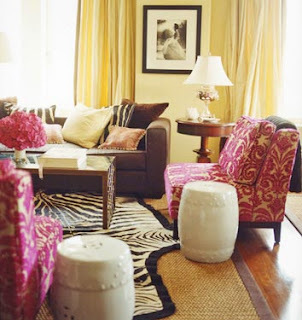 American Gypsy Living: Global Style + Zebra Rugs Galore + Too Trendy? In my search to find a classic pair of riding boots (nearly impossible) in a country known for its leather (a bit over-hyped, if you ask me), I've come across a whole lot of cowhide. I'm talking heaps. From raw and cattle-like to zebra print, to patchwork to neon, the Argentines have committed innumerable crimes against leather. Don't get me wrong, I've always been a fan of utilizing zebra print in creating a global inspired home. The origins of the zebra rug say it all. What said "world traveler" more than a fresh piece of exotic pelt hauled from the Serengeti to your comfortable suburban home? 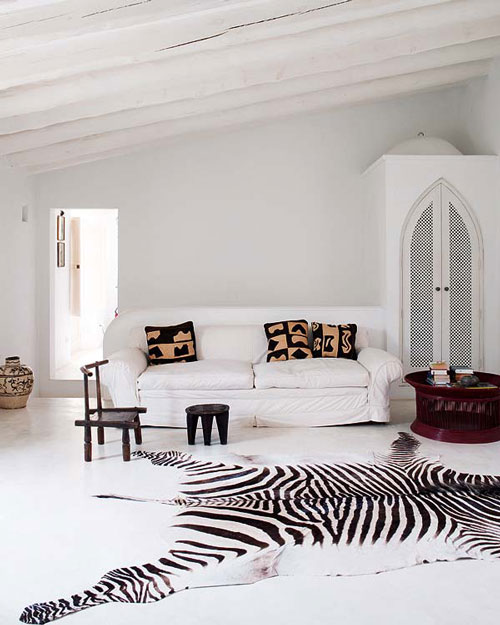 Of course now that we use cowhide in lieu of actual zebra, you don't have to go on safari to get your own rug (although I'm pretty sure you couldn't legally bring a zebra pelt into the USA anyways, thankfully). So if the price fits, I'm thinking of buying a few rugs here in Buenos Aires. But seeing so many tourists rushing home with bags of hide has me a bit cynical. 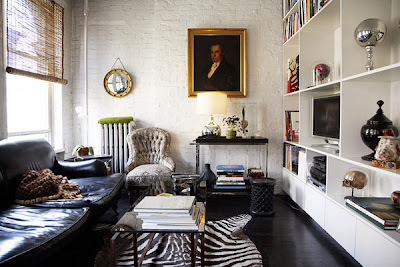 How does one keep the look fresh when nearly every wannabe designer (ahem, moi) has the same look recreated in their living room/study/kitchen/master bath? There's a fine line between cliche and classic, friends. Unfortunately, even when used tastefully zebra print can still feel a bit trite. For example, this room above (which for the record I like and would be very content to live the rest of my days in) is one Home Goods accessory short of a Z-Gallerie photo. I'm still unsure why I feel so snarky about this room! Perhaps it's just too put-together. Too perfect. Again (above photo), I'm not a fan of too perfect. 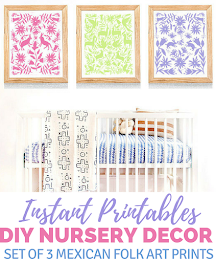 This is dangerously too close to Pottery Barn for my tastes. But again, I'd love to live here. Sans red wine, of course. 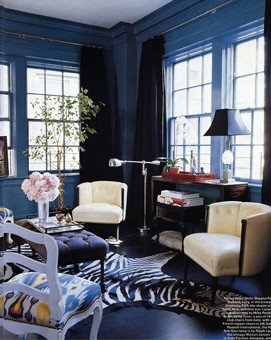 One of my all-time favorite uses of zebra is in this office of interior designer Angie Hranowsky (photo by Julia Lynn). I love the contrast against the rough, untreated wood. 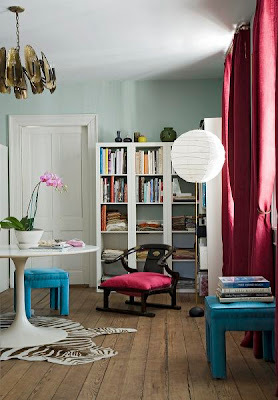 And the Ming-style chair adds an understated global feel to the space. 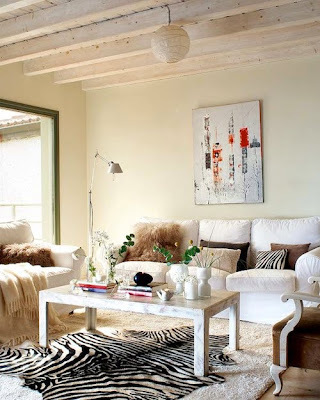 I love - LOVE - rooms with a bright white base built upon with color and texture, like this room above. Dark, handsome wood mixed with vintage plastic chairs. Fantastic. But on the other hand....I'm just as drawn to these smoky-dark dens. The zebra print adds a necessary brightness. Lime green leather chairs, gold and zebra. Would never have guessed that I like this combo. Personally, I think mixing animal prints can get tricky. But this office is pulled together nicely, don't you think? This is my favorite of the dark rooms. 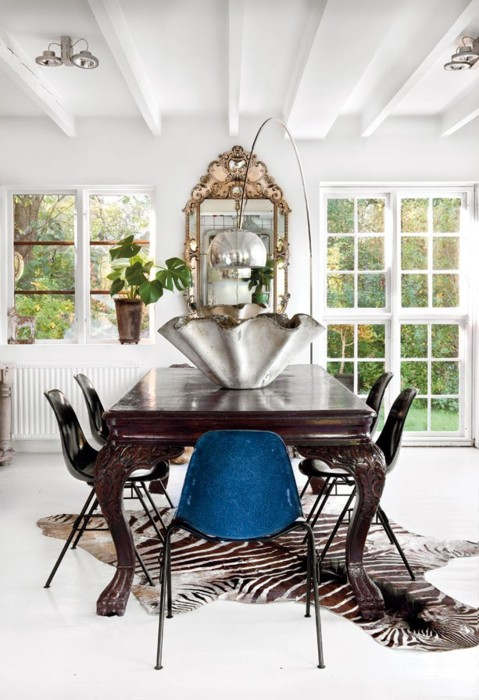 I love that french country ikat chair mixed with vintage-modern furnishings on a glossy black floor! Thanks for stopping by! 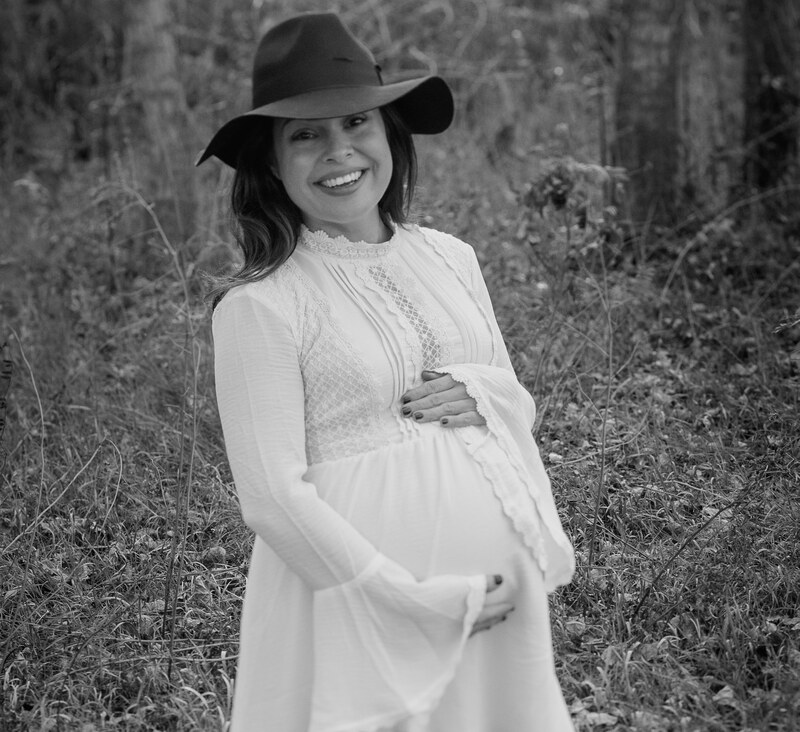 I'd love to hear from you....leave a comment or drop me a message on Twitter!